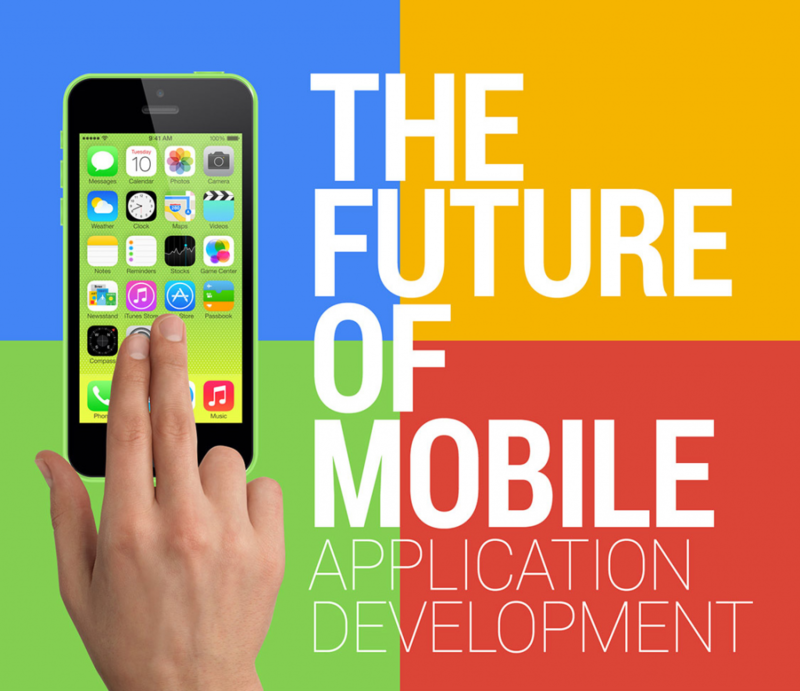 Mobile App Development Trends to Watch Out This Year And In the Future As Well. As technological innovation advances so are the demand for mobility solutions as integral aspects of all people at present. A couple of years ago all the mobile devices accounted for 65% of traffic. This year this figure has enhanced to 52.6%. Nowadays everyone has realized that the mobile apps sector is no longer a fashion but a vital aspect in order to be at the very top of the market. With that in mind, elaborated below are some hot trends related to mobility for this year. An exemplary case when it comes to the trends that are red hot this year, Chatbots will experience even more growth in the future for sure. It is estimated that the interaction factor will grow from 20% projected last year to a massive 93% in 4 years time. Seeing how the major giants like Facebook and Amazon are embracing Bots for interaction, soon the Chatbots will rule the roost for sure. They offer round the clock availability in terms of answering the queries faced by customers without the mere hint of annoyance. This is used to create a strong bonding with the customer base. What’s more, the other bigger guns related to enterprises are steadily embracing its potential to ultimately generate even more profits by serving the user base that well. Even though its power was in the center of the limelight for several years. It has augmented powerfully ever since last year where even the software giant Microsft is feverish at work with regards to enhance its AI product Cortana. By the turn of the next decade, this technology according to reliable sources will grow to a whopping 42 billion dollars for sure. Google is also fascinated by its power as evident in its extremely popular Google Duplex product. Thanks to AI, the prominence of machines that can make complex decisions and carry out analysis work like how humans do is very much evident indeed. Its future in mobile app domain is evident via notable examples like Microsoft Pix, Swiftkey AI and the such. All the big mobile app development brands are embracing the power that AI wields so as to get precise and logical results. An offshoot of this amazing technology includes the cases of Siri from Apple and Google Assistant from Google serving as Smarter Virtual Assistants. As technological advancements are prominent to make people’s life even more simple, a special one in these advancements features Internet of Things which can interface a lot of Smart Devices to pave way for a futuristic way in living. By the beginning of the next decade, approximately 20 billion IoT devices will be wielding the power of AI as well. This very well signifies that IoT is here to stay. Its potential to improve products, the healthcare oriented work, and the automatic vehicles is just a glimpse of what its true power actually is. Cloud-based applications are now in prominence in all types of industrial verticals across the globe. Forbes revealed that this year its growth is estimated to be approximately 180 billion dollars. Thanks to Cloud technology, the issue related to limited digital space and other related restrictions encountered belong to a long-gone era. Some of its advantages include the fact that the hardware costs are significantly cut down. Further, as aforementioned the data can be stored and accessed from virtually anywhere that securely. The internal memory is freed up and the performance factor is very much streamlined in a multitude of different platforms. The Virtual Reality is used to portray the digital virtual world and the other one is known as a revolutionary key player in the technological domain as well. By 2020, the combined profits that both these technologies will generate will be a massive 150 billion dollars for sure. The power of Augmented Reality helps the customer base to get a real-time understanding of what exactly you as an entrepreneur offer to it in the form of a product by employing powerful visualization means. This can also be applicable for services as well. The enterprise’s employees are also benefitted from the fact that they also get the relevant needed insight. Speaking of the latter, it gives a clear view of what your product does via3D vision. It serves effectively in enhancing the marketing strategies of brands and their reputation as well. Ultimately it uses rich visual content to get things done for you. This shows that this sector is also going to occupy top slot in mobile app development domain very soon. Despite people now having some insight on the concept of Digital Currency, Blockchain has evolved further from the Cryptocurrency domain. Its architecture which is open nature makes it the right fit for eCommerce and Mobile Banking related domains who want robust security. Facebook which has been plagued by data breaches is using Blockchain to resolve everything. It is as well having a booming presence across the globe. This trend is evident from examples comprising the likes of PayPal, Google Wallet, Apple Pay and the such which want to attain even more profit. Last year, these mobile wallet oriented domain surpassed the 700 Billion Dollar mark which is an astronomical milestone indeed. As stated above in the case of Blockchain where E-commerce and Mobile Banking sectors are very much relying on, this applies here as well. The elite mobile app dev companies in India are leveraging this technology to gain even more profits unimaginable. All the above mentioned Mobile App Development Trends are here to stay in terms of demand for this year and the future as well. Apart from their potential in enhancing the enterprises and their user base as well, a lot of the potential still remains untapped. If used well, it can solve major headaches and rest assured the future standard of living is really promising, and that cool as well. As a company that actually pays importance to all the current trends in the mobile app domain and ensures that you as an entrepreneur selects the right fit for your mobile app vision and taste unprecedented success, the Chennai- based Pyramidion Solutions is all set for even more fame as a key player in this field of app development.